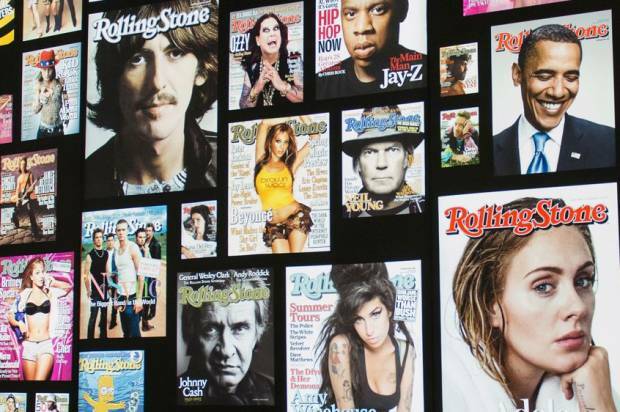 A few years ago, I entertained the idea of writing a book about Rolling Stone magazine. I contacted Jann Wenner, who said he was working with someone else. That turned out to be Joe Hagan, whom I came to know. He interviewed me for his book (Sticky Fingers), we occasionally chatted about its progress, and he asked me to read it in manuscript. The book was timed to coincide with the magazine's 50th anniversary, which was also the occasion for Alex Gibney's documentary film for HBO. These works have sparked several interesting conversations--not just about Jann and the magazine, but also about the San Francisco counterculture and its legacy. A week before that anniversary, an outfit called The Conversation asked me to lash together 1,000 words on the link between Ramparts and Rolling Stone. Here's the piece, which I was happy to do. I also have a forthcoming article for California magazine that traces the links between Rolling Stone and the University of California, Berkeley, where Jann and many of the early writers and editors studied. I'll post that when it appears. The Conversation, by the way, is like a wire service for academics writing for general audiences. They pushed out the article to news outlets, and the piece was picked up by Salon, the Chicago Tribune, San Francisco Chronicle, and scores of smaller outlets. They also provided me with metrics--my own dashboard, in fact--that showed that Salon was by far the biggest pickup. About one-third of the total audience came from that one outlet. Amir Bar-Lev's "Long Strange Trip"